Dr. Richard Hagmeyer is a Holistic chiropractic physician who specializes in natural treatments for disorders such as IBS, Gluten sensitivity, Thyroid, Diabetes, Migraines and Autoimmune disease. Gluten is a relatively common sensitivity amongst people of all ages. When you are having problems with gluten, it may be for a number of different reasons. The problem with Gluten is that it over stimulates the immune system and by doing so causes inflammation and damage to surrounding tissues. Gluten sensitivity is basically defined as any immune response to gluten – so your body when it sees gluten it sees it as the enemy. The problem with negative gluten antibody tests is improper testing. The general gluten antibody test conducted by most labs today is only testing a small portion of the gluten protein, alpha-gliadin. In reality, an individual can have an immune response to various parts of the gluten protein, including omega-gliadin, gamma-gliadin, wheat germ agglutinin and deamidated gliadin. 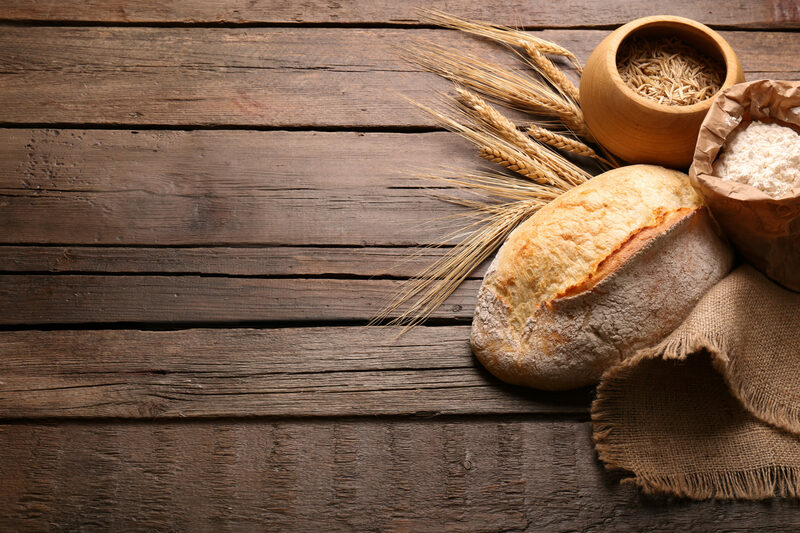 In a post last month, we discussed how giving up gluten can help decrease your thyroid levels. Many people mistakenly think if they have a gluten sensitivity or gluten allergy that they have Celiac disease. 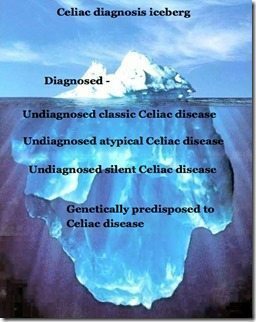 While it is true that that every person with celiac disease has a gluten sensitivity, not every individual who has gluten sensitivity has Celiac. I work with many patients who have atypical gluten sensitivity. This means that when they consume gluten, the damage the gluten is doing is outside of the intestines. Gluten in these individuals, may be a cause of ongoing migraines, or ongoing joint pain, or dizziness, diabetes, peripheral neuropathy too name a few. In fact gluten sensitivity has now been associated with over 200 different diseases according to the New England Journal of Medicine. Our holistic and personalized approach to medicine looks at ways to improve your overall health. This includes looking for the presence of infectious bacteria or yeast, which can be working against you. We will also look to see if we can boost the amount of probiotics or helpful bacteria to help you with the digestion of all food – including gluten. There may be other underlying reasons for the gluten disorders. This can include a loss of bowel chemistry pH, inadequate breakdown of foods, leaky gut, inflammation, chronic stress and hormonal imbalances. Once we uncover why your body is not digesting foods properly, it’s possible to begin setting things right again. Everyone should be taking probiotics because this “living” food can help with your digestive system and prevent your digestive organs from working in over-drive. The internal intestinal damage that you may have is going to be all that you need to have problems. You may not break into hives or anything physical, but it is still something affecting your health and something that you need to address at some point. As your digestive organs work harder and harder to process the foods that you eat, they are going to slow down. This is when you are going to experience fatigue, weight gain and various problems in your health. This doesn’t have to happen. Help is available – and natural health treatments can be the best thing for you because everything is natural as opposed to chemically altered. Our metabolic and nutritional counseling can help you with your symptoms. You may not be experiencing physical symptoms of gluten allergies, but you may have disruptions in your digestion, trouble losing weight, excess gas and other problems. You may even be experiencing fatigue because of your body’s inability to process the gluten properly. Our goal is treat you as a whole person as opposed to treating a diagnosis. By using holistic medicine, we are able to look at the big picture, provide nutrition testing and help you to get better. Are you on a gluten-free diet and still suffering? If so, it could be that you are eating foods that do not contain gluten but your body reacts to them as if they do. This process is called cross-reactivity. There are a number of naturally gluten-free foods such as cheese, chocolate and coffee that contain proteins so similar to gluten that your body confuses them for gluten. When you eat these foods your body and immune system react as if you just ate a bowl of whole-wheat pasta. It’s estimated that at least half of those who are gluten intolerant are also sensitive to dairy (cheese, yogurt, milk and butter) due to its cross-reactivity with gluten. A variety of disorders are related to gluten and working with a functional medicine practitioner who really understands the grand scale of gluten is essential in helping you regain some of your life back, allowing you to eat more of the foods you love. The first step is to contact us for your free phone consultation. As we run a variety of tests and learn more about what you are feeling, we will begin to get an understanding as to how your digestive system is functioning and determine what can be done. Visit drhagmeyer.com/gluten to receive a free guide that describes our metabolic approach and how we help those suffering with IBS, gluten sensitivity and digestive problems. Remember this, over 90% of your immune system lies in you gut. Everyday you make choices that inevitably influence and alter your bodies immune system for the better or for the worse. The longer you suffer or ignore this problem, the worse it will get. 4. Going Gluten Free | A Little Won’t Hurt Will It?